News - March 1, 2016 We've Expanded Our Facility! Our Unique Concrete Resurfacing System! The look of granite, marble, or custom concrete can easily be achieved by applying iCoat's unique concrete resurfacing formula directly over laminate, Formica®, tile and wood countertops. 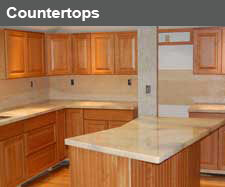 Or, let us build your iCoat countertops from scratch. Our coloring system guarantees a one-of-a-kind look and our Crystal Top Epoxy is scratch resistant and scorch resistant to over 500°F. Now you can have the look of high end stone at an affordable price. Our overlay system achieves the look of authentic stone and other custom finishes at a fraction of the cost. Our products have stood the test of time while delivering stunning looks to customers around the world for over a decade. 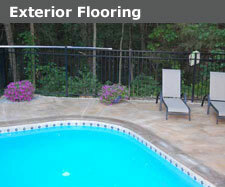 Slate, flagstone, travertine, tile, wood plank--you can work with our design team and transform that ugly concrete walkway, porch, entryway, pool deck, patio, garage floor or basement floor into a amazing showplace! 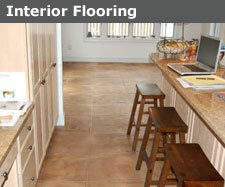 Tile, slate, travertine, marble, granite and stone are just some of the looks you can achieve for your interior floors using our overlay system. 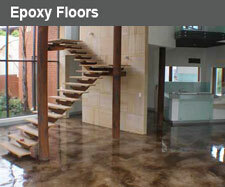 Our products can be applied directly over wood, linoleum, tile and many other surfaces. Contact our design team today so you can experience the beauty and durability of our flooring system at a fraction of the cost of traditional material. Renovating your bathroom? Building a new home? Create the shower of your dreams with the look of natural stone or tile at a fraction of the cost of traditional materials. 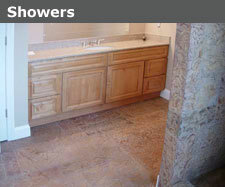 iCoat shower systems give you the durability of concrete but the look of natural stone or tile. Contact us today and one of our designers will work with you to create the shower of your dreams!